If you want some great new car pricing, then stop on in to Ewald Kia of Oconomowoc Wisconsin and check out their many great new deals on new cars for sale here in the Milwaukee area. Ewald Kia of Oconomowoc Wisconsin is a fantastic place to go for great new Kias for sale of all kinds! With many models of new Kias for sale, drivers can choose from a wide variety of excellent vehicles that offer everything from luxurious comfort, to power and efficiency! So stop on by Ewald Kia of Oconomowoc Wisconsin today and check out our great new car pricing on our new Kias for sale, like this new Kia Cadenza for sale, the 2016 Kia Cadenza Limited. This excellent new Kia Cadenza for sale is a great vehicle that offers a large amount of power and a fair range of fuel efficiency, for a great price. 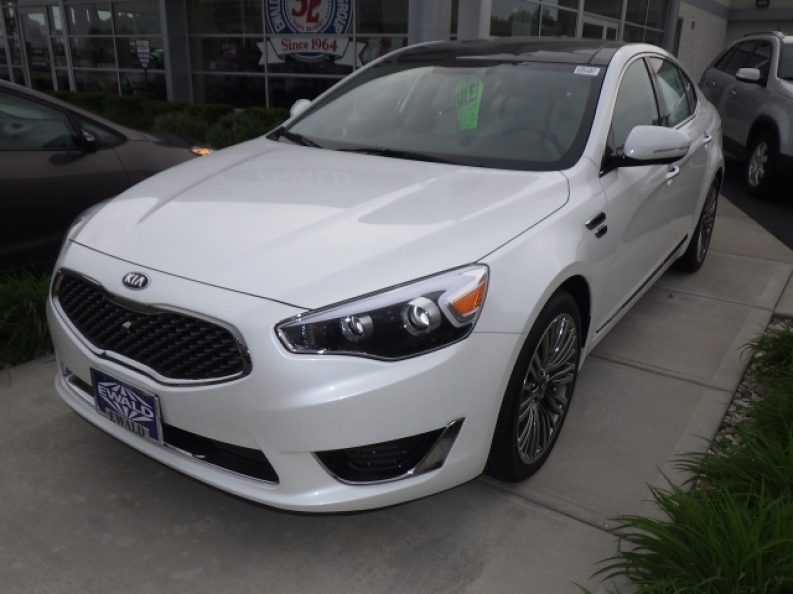 With its 3.3L 24-Valve DOHC CVVT V6 Engine, this new Kia Cadenza for sale gives you the awesome power of 293 horse power of speed, giving you more than enough speed and power to take on any Wisconsin road! The 2016 Kia Cadenza for sale has much more to impress you with, including a baffling set of useful features and available options, such as its High-Definition Radio that gives you crystal clear music from your favorite radio stations, and its Navigation System will help prevent you from ever getting lost as it guides you through strange territory you've never been to before or are not familiar with, and its Back-Up Camera will give you a clear view of what is behind you and how far away it is which makes parallel parking and backing in and out of busy streets so much easier. 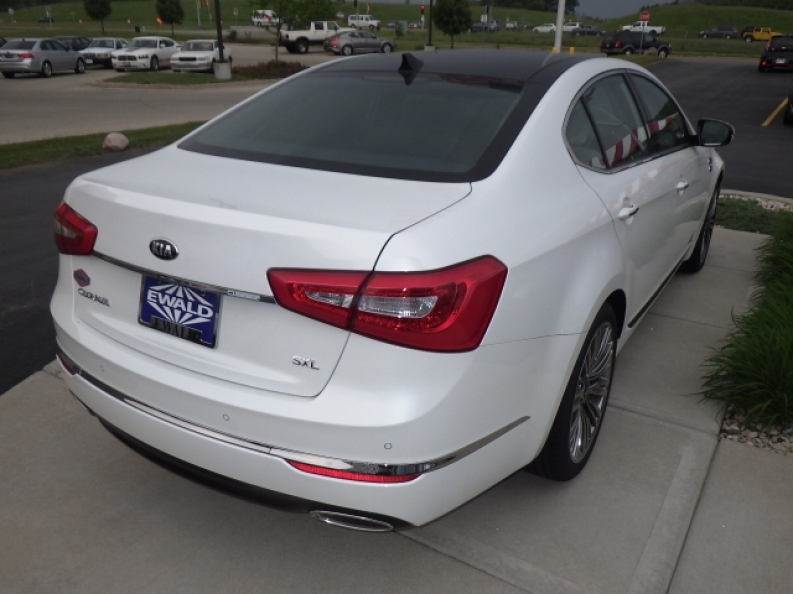 Come on in to Ewald Kia today and check out what else this awesome new Kia Cadenza for sale has to offer you. To get more information about our Kia Cadenza stop in to Ewald Kia at 36883 E Wisconsin Ave Oconomowoc, WI 53066.